Apple did not update the MacBook Air line as expected today, signaling that it will slowly phase out the MacBook Air machines in favor of the MacBook and MacBook Pro lineups. 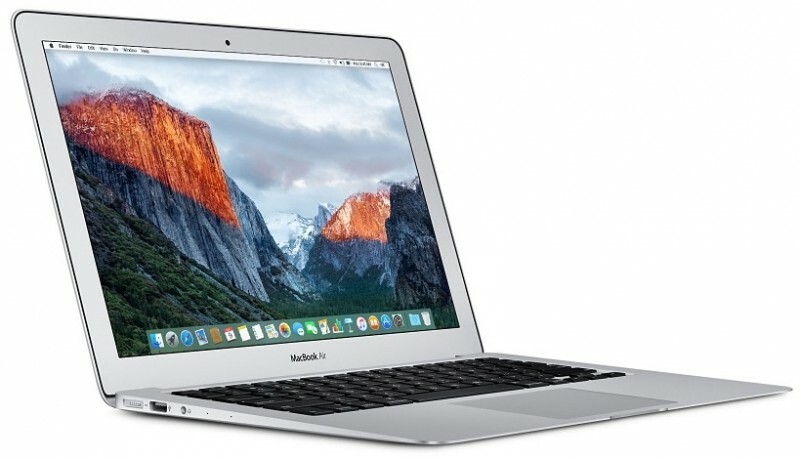 While there is no new MacBook Air available for purchase, Apple is continuing to offer the 13-inch MacBook Air models that were last updated in 2015. The 11-inch MacBook Air has been officially discontinued and can no longer be purchased from Apple. Pricing on the MacBook Air continues to start at $999 for the 1.6GHz/8GB/128GB model, which is likely why Apple has kept it in the lineup for now. At $999, the MacBook Air is $500 cheaper than the new entry-level MacBook Pro and $300 cheaper than the entry-level Retina MacBook. At today's event, Apple positioned the new entry-level MacBook Pro as a viable MacBook Air replacement, because the MacBook Pro is now nearly as thin and light as the MacBook Air. Apple's entry-level MacBook Pro features a 2.0GHz processor, 8GB RAM, 256GB storage, Intel Iris Graphics 540, and two Thunderbolt 3 ports. It does not include a Touch Bar or Touch ID support, which allows Apple to sell it for $1,499 instead of $1,799, the price of the entry-level MacBook Pro that has those two features. So that's Apple's solution at making the Air more affordable? Raise the price of the MacBook Pro while leaving the Air's price as is? Nobody bought those mini Macbook airs with those small displays. 11 inch? Good riddance. Given no update to the Air and still maintaining the price, the name Air means that you must be an Airhead to buy one. Of course you could spend $500 more and get the replacement computer without the new cool thing. Just really horrible how Tim has treated the loyal Apple fans today. The price on the base MacBook will come down at some point to be close to this range. Don't hold your breath for that to happen. Some did, and enjoyed/are still enjoying their portability at a reasonable price with a great battery life, Magsafe, two USB ports (fewer dongles), etc. Might be good riddance for you, but not for everybody. In my work, I see about as many 11" MBAs as 13" MBAs. Out with the old, in with the same-as-old but at higher prices. I have a 2015 MBA 11" along with my rMBP 15". I love them both. At my work a large number of people have the 11" for portability. Its a cracking machine with a great keyboard (tried and just can't do the butterfly one). I have a loaded 27" 5k iMac, 15" MBP and an older 2010 11" Air, all for different uses/travel/etc. Was waiting to see if they updated the 11" today. Same thing - as SOON as I saw it was discontinued I bought the loaded 8GB/512GB 2.2 i7 refurbished 11" off the Apple refurb page.